Teaching has so much in common with baseball, it’s crazy. I could go on and on about curveballs, errors, data analytics–and that only skims the surface. Seriously, don’t get me started. That said, I do want to drill into one little area of comparison between the two entities: success, in baseball and at school, involves a ridiculous amount of failure. In 1923, Babe Ruth, one of baseball’s all time greats, had a legendary year. Babe Ruth’s career lasted about 22 seasons but shockingly he was given baseball’s greatest individual honor, Most Valuable Player (MVP), only once–in 1923. Any baseball fan would recognize greatness in every one of his stats–but this isn’t a site for baseball fans. So, I’ve re-framed Ruth’s MVP statistics below in order to in order to support the larger point about teaching. During his MVP year, baseball-reference.com‘s statistical database indicates that Babe Ruth failed to get on base almost half of the time. About 13% of his attempts resulted in the most catastrophic kind of failure, the strikeout. As for home runs, the ultimate outcome for a player like Ruth, well, he achieved that feat a paltry 6% of the time during his MVP season. He also managed to score, home run or no, 151 times that year (about 22% of his at-bats). I wonder how Ruth’s MVP stats would translate into the teaching world. How would we feel if over half of our students learned from a lesson on any given day. How would we feel if only 13% of our lessons ended in catastrophic failure or if 6 out of every 100 lessons were “home runs”. How would we feel if our lessons lit up the scoreboard 151 times? Ruth’s stats don’t translate perfectly to the teaching profession, but I bet they might earn him a “Skilled” rating. This is all to say something that many baseball fans have pointed out before: success is not linked to constant perfection. In fact, great players make a large percentage of mistakes. In the face of these mistakes, they persist and make adjustments to whatever the season throws their way. Many athletes hack this formula for success by reviewing game tape, often times with a coach. Teachers can do this, too. For a quick practical guide on how teachers can use “game tape” to improve their practice, this article may be a good place to begin. What’s saving my life right now, as I enter my 13th year of teaching, is a smaller scale version of a game tape review. More akin to reflection, the good ol’ fashioned debrief saves my teaching life on a daily basis by helping me reinforce lessons, learn from failures, make success more intentional, and make adjustments to whatever the happens on any given day. Simultaneously the most important and easy to forget part of any lesson is that little section at the end in which the teacher debriefs the class on key concepts from the day’s lesson. I think most teachers have this kind of debrief in their arsenals–but, then, stuff happens. Maybe we lose track of time, and have to come to a hard stop as the next group of students lines up outside our door. Maybe kids are on fire with the day’s learning, and we just forget out of the sheer ecstasy of it all. Or maybe, the perfectly planned lesson turns into a disaster zone, and we’re so busy playing mop-up, we find ourselves wishing for one of those Men in Black flashy things–and debriefing feels like the last thing we’d want to do. I get it. Believe me. The thing is, I’ve actually found that when a lesson strikes out, debriefing can be a life saver. I strike out a lot as a teacher. Maybe more than most. I don’t think it’s because I’m especially bad. Rather, I just like to try new things. Like Babe Ruth, I’m always swinging for the fences. However, striking out in a classroom might be a little more high stakes than in baseball. Sure, in baseball, fans might boo–you might even cost the team a game, but after the strike out is over, the player trots to the dug out and everyone moves on with their lives. In the classroom, though, strikeouts linger. Fortunately, somewhere in my Responsive Classroom training, I learned a debrief-like trick that can transform strike outs into successes. Last week, students returned from summer vacation, and by day 2, we’d already begun setting up writing territories in our notebooks. The first of many writing territories we created in our notebooks was the tried and true “Stuff I Like to Talk/Write About” list. We’ve created writing territories in my classroom for years, going back to 2008, when I attended my first professional development session with the Ohio Writing Project (quick shout out to @BethRimer and @AngelaFaulhaber). I probably have stolen a lot of writing territory ideas over the last decade or so from Carl Anderson and Ralph Fletcher. So, as we started the year off with narrative writing, I taught a quick mini lesson about how and why writers generate writing territories to come up with ideas, and I demonstrated how to make a “Stuff I like to Talk/Write About” List. It’s something I do that I never thought much about because it usually went well. This year’s students would go on to teach me that, perhaps, an adjustment is needed. For my first class of the day, it went well enough, but…I don’t know…the magic just, yeah, I don’t know. Later in the day, I taught the very same lesson to a different group, and the wheels fell off. After observing the mini lesson, students left the circle to write from their list. Six seconds into writing time, two students giggled over who-knows-what, and the dominoes fell. Within seconds, the entire class was carrying on like it was recess. One group burst into laughter. Another child–I swear it’s true–started meowing. It all happened so fast, I struggled to assess what was going on. Were my directions confusing? Were they just suffering the late afternoon blues? Was this the first stage of a mutiny? I waited a minute to see if they would settle back into writing. They didn’t. I panicked. I hyperventilated. Everything started to spin. It was too early in the year! We were still in the honey moon period! I composed myself and dinged my trusty chime. Somehow, everyone settled. Instead of yelling, instead of restating directions in my “frustrated voice”, I asked students to debrief with me. I tried to process the data they were giving me. It seemed like they needed a break. Our afternoon block schedule means kids have 80 minutes of instruction with the teacher before me and then come to me for another 80 minute block. Pile on top of that the fact that the “Stuff…” list was losing its magic. So, asked the class if it was okay if we took a quick break from working. No shocker here–they were okay with that. We performed a Responsive Classroom Energizer called “Human Protractor”, in which students contort their bodies into different angles (ie-180 degrees = hands straight up in the air; 90 degrees = body bends into an upside-down “L”). So, now we had diagnosed the problem and had taken a break to re-energize. Now we were ready to develop a solution. I asked students to raise their hand if, at this point, they had something they wanted to write about on their list. About half raised their hands. I sent them back to their seats to get back to writing. For those who stayed behind, I asked them to make a T-chart, and I shared a different tool I’d learned from @BethRimer all those years ago: the “Favorites/Not Favorites” list. Of course, looking back, it makes perfect sense that some kids would have trouble making a list of “Stuff They Like to Talk/Write About”, especially if the child doesn’t talk all that much. Or, perhaps, this list was too abstract for some thinkers to use for writing ideas. Maybe it was just a case of the late afternoon blues. Regardless, making a list of favorite things and not-favorite things came much more easily. Every child had four or more items within seconds, and I sent them back to their seats when they had one they could write about. Sometimes, I’m lucky enough to catch the strikeout early, and sometimes the strikeout comes late in the game, and we debrief the next day. Either way, debriefing gives me the opportunity to turn even the most catastrophic moments into teachable moments. This type of debriefing doesn’t just save my life, though; it sets me free. I can try out new and interesting strategies (or, in this case, linger on an old one for too long)–because even if they fall flat, I can always debrief, regroup, and make an adjustment. After our initial strikeout, things went swimmingly. Students were writing! All of them! One of the biggest struggles in writing workshop isn’t that students don’t write as well as we want–it’s that some students are so sick of school that they don’t give us anything to work with. One hundred percent participation is not the end goal, but it’s a crucial starting point toward helping students grow toward their potential. It took a bit of work, but we were finally off to a good start. When we had about five minutes left, I used yet another version of the debrief: “Alright guys, I have to say, right now, as students, you guys are crushing it. What do you notice that you or a classmate did to make our work time so successful? I took this moment to try to crystallize some of the learning that had just happened. I wanted students to realize exactly what kind of important work they had done today, and I wanted them to do keep doing it in the future, both independently and intentionally. It’s also important to not just execute debriefs to intervene on failures. If I only have students circle up when things go wrong, they may eventually grow to balk at (baseball pun intended) these problem-solving conversations. Conversely, when we debrief over strike outs, home runs, and everything in between, these sessions begin to feel like positive and helpful routines. To extend the original metaphor just a bit more, the baseball season (including the playoffs), like the school year, is about 180 days long, and it can be a grind. No player has ever had 100% success, and no team has ever gone undefeated. Some of the best teams, through the ups and downs of a season, manage to develop chemistry and learn from both bad and good. They also make adjustments instead of continuing to do things the “way we’ve always done ’em”. A great school year works exactly the same way. Some days feel more like home runs, and others feel more like strike outs. Most days feel like something in between. The thing is, no matter how it goes, it is a great comfort to know that learning will happen and students will grow…because no matter what happens, debriefing is always an option. How do you use debriefing strategies with your students? How do you keep a zen-balance in the face of catastrophe? 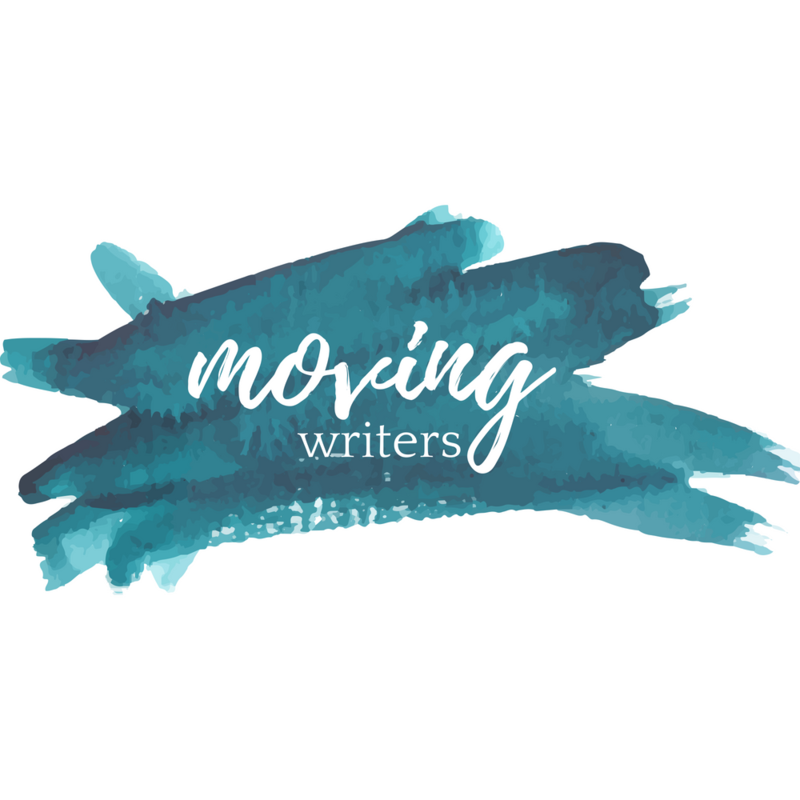 You can connect with me on Twitter @MrWteach or on Facebook at facebook.com/movingwriters. Holy cow! You just described my day today (minus the debrief part that I just learned from you)! We did that same sort of assignment and I felt like only a handful of students “bought in” to the process. I’ve been brainstorming what to do differently with tomorrow’s (different) class. This was super helpful. Thank you so much for sharing! Thanks! Isn’t it great to know you aren’t alone in this world! Perfect lessons don’t always work! I’m always trying to remember that not every writing territory is fruitful for everyone, and I’m not going to change kids’ minds about writing in one day…especially when they’ve spent years learning to hate it. However when I show kids enough respect to understand and even value their desire to refuse, I earn bit more trust for tomorrow’s lesson. In other words, trust the process, and stay the course. With empathy and your workshop know-how, I know you’ll eventually win ’em over!